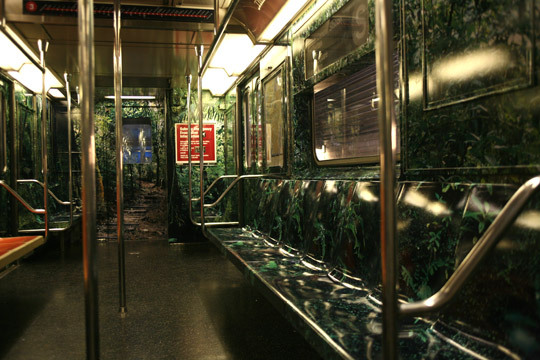 If only New York's trains were actually this cool all the time. Deutsch (yes, they still do stuff) tricked out Grand Central Shuttle trains for Westin Hotels making the train interiors look like the Caribbean, the rain forest and Iceland. Very cool stuff. Check it out here. They've had that sub ad of the flower opening up in Chicago for a few months now. It looks alot cooler when you're sitting on the el and see it.